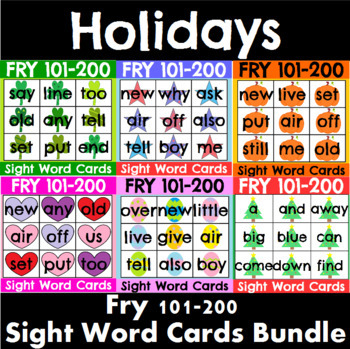 Use these sight word cards to help celebrate various holidays through out the year. There are cards for Christmas, Halloween/Thanksgiving, Valentine's Day, St. Patrick's Day, Easter and any Patriotic Holiday. 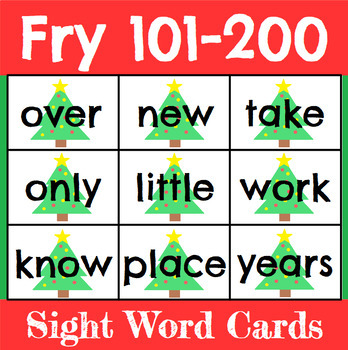 The Christmas cards have the sight words printed on Christmas trees. 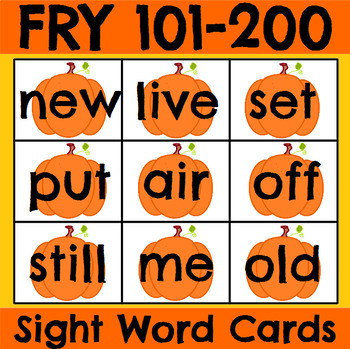 The Halloween/Thanksgiving cards have the sight words printed on pumpkins or candy corn. The Valentine's Day cards have the sight words printed on hearts of various shades of purple, pink and red. The St. Patrick's Day cards have the sight words of shamrocks of different patterns. 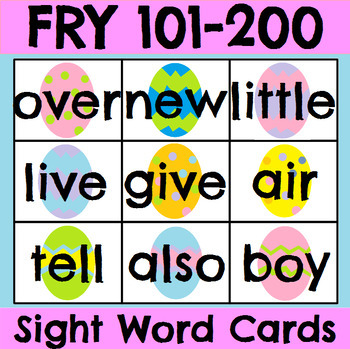 The Easter cards have the sight words printed on Easter eggs of different patterns. The Patriotic cards have the sight words printed on red, white and blue stars.